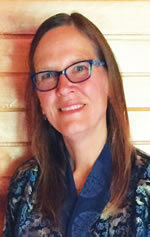 For Karen Beardsley, GIS is more than software. It gives rise to relationships that can change the world. As the director of sponsored programs and special projects for global affairs at the University of California (UC), Davis, Beardsley now spends the majority of her time bringing people together from all over the world to solve problems. While this has always been an important aspect of her career, she finds herself, for the first time, in a position that doesn’t center specifically on GIS. With a background in mathematics and computer science, a master’s degree and a PhD in geography, plus plenty of experience using and implementing GIS in projects all over the world, Beardsley will always advocate for—and even still teach—GIS. She discovered GIS in the late 1980s in Kenya, after a two-year stint in the Peace Corps. As a volunteer math and science teacher, she saw that her students were quite negative about wildlife, and she observed conflict between humans and elephants. She realized, however, that the kids had never really seen animals in the wild, so she found a truck to take her students into the park that bordered their community. When Beardsley finished the Peace Corps, she decided to see if she could stay in Kenya to do some wildlife conservation work. Beardsley spent two years as a math and science teacher with the Peace Corps in Kenya before embarking on the project that would introduce her to GIS. Beardsley headed back to California to see if she could get some training. To her delight, she found out that the developer of ARC/INFO, Esri, was in her home state. So she cold-called the company, and after telling her story, Esri president Jack Dangermond let her take a GIS course for free. Then she went back to Kenya to work on the database. Within months of Beardsley and her colleagues finishing the African Elephant Database, the Convention on International Trade in Endangered Species of Wild Fauna and Flora (CITES) met and used the database to place the African elephant on the endangered species list. When she again returned to California from Kenya, she got a job with the US Bureau of Reclamation in Sacramento digitizing township, range, and section lines. “That’s when I realized—as I was always realizing—the more I learned of GIS, the more I realized I didn’t know,” she recalled. She wanted to get a solid education in it, so she entered a master’s degree program for geography at UC Santa Barbara and focused on remote sensing. For her thesis, she aspired to develop a map of all the protected areas in the world. Though, for time’s sake, she ended up focusing her thesis on the southwest ecological region of California, another student continued her project, and it has since evolved into the Protected Areas Database of the United States (see the ArcNews article on this). After receiving her master’s degree, Beardsley moved to UC Davis, where she worked for the Information Center for the Environment (ICE). She was hired to set up GIS and get a handle on the quality and status of California’s rivers while helping state and federal agencies move their projects forward. It was around this time that Beardsley helped start the Society for Conservation GIS (SCGIS). 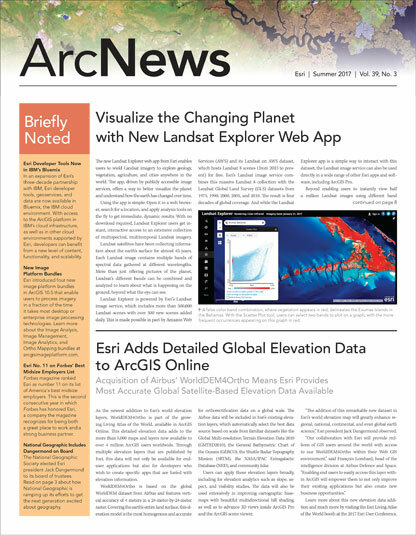 It began as an informal meeting of conservationists at the Esri User Conference and has expanded to now host an international scholarship program in which the organization brings young conservationists from around the world to California to receive training in GIS, attend the Esri User Conference, and participate in the SCGIS conference held at UC Davis. Beardsley has climbed seven times to Bhutan's Taktsang, a monastery that clings to a cliff 10,000 feet above sea level. Observing how these young professionals apply GIS to their ideas inspires Beardsley. While working at ICE and organizing SCGIS, Beardsley got her PhD in geography from UC Davis. That brought her back to Kenya for her dissertation, where she studied and modeled different development scenarios based on an urban growth model she created for use in California. She did (read the ArcNews article), and she figured out that it made more sense for the Maasai to remain pastoral. 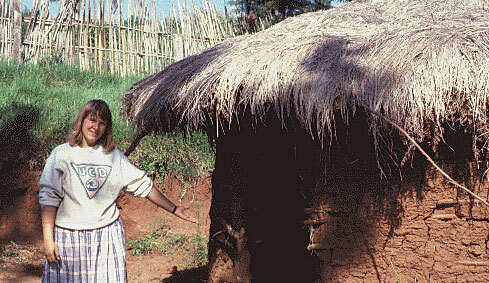 Though forces well beyond her control have compelled many Maasai to settle down, Beardsley said the model was instructive. Upon completing her PhD, Beardsley moved into the role of managing director at ICE. And at a climate change seminar that the organization runs every year, she met someone who would lead her to her next GIS adventure: establishing a GIS program in Bhutan. In 2013, Beardsley and her family took a vacation to Bhutan to visit her friend. While there, they went to Royal Thimphu College (RTC) and talked to the associate dean, who was thrilled when he found out that Beardsley did GIS. “He said, ‘We want to start a GIS program here! '” recalled Beardsley. 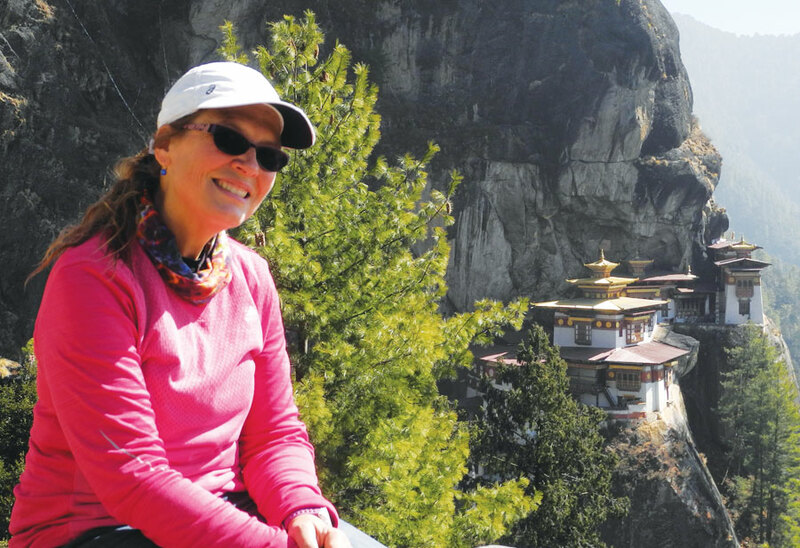 Beardsley had also applied for a Fulbright scholarship to get to Bhutan, and in 2015, she received it. This enabled her to go back for a full year to kick-start RTC’s GIS curriculum. “Now, GIS is a major part of their bachelor’s of science in environmental management,” said Beardsley. Additionally, RTC hosts workshops to provide government officials in Bhutan with further GIS education. And that is thanks, in large part, to Beardsley. With plans to return to Bhutan this fall to conduct a workshop for RTC faculty on how to teach GIS and another trip scheduled for summer 2018 with a cohort of UC Davis study-abroad students, it doesn’t look like Beardsley is going to slow down anytime soon.